Iran continues to promote its diplomatic and economic offensives with Gulf States, with the Foreign Ministry praising President Rouhani’s visit on Wednesday to Kuwait and Oman. This trip, during the critical and special situation of the region, marks the shared will of the three countries to develop friendly ties across the two sides of the Persian Gulf. 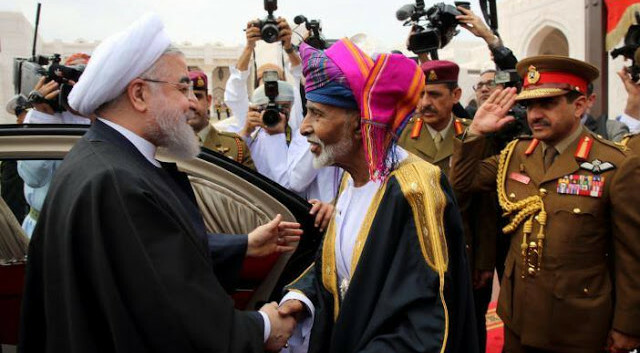 Sultan Qaboos, the King of Oman, and Sheik Sabah, the Emir of Kuwait, have always sought all-out relations with the Islamic Republic of Iran, and even beyond bilateral relations, they are after a collective system incorporating dialogue between all countries of the region, including Iran, to secure stability and security of the region in face of common threats and concerns like terrorism and extremism. Rouhani made the trip both to bolster Iran’s regional position, amid ongoing tension with Saudi Arabia, and to pursue options for trade and investment amid Iran’s difficulties. The Gulf States have been vital hubs for Iran’s imports and exports, and Tehran’s recovery has been limited after the July 2015 nuclear deal because of ongoing US restrictions — and the prospect of a tougher Washington policy under Donald Trump. Qassemi vaguely referred to the issues as he asserted that Rouhani’s mission was warmly welcomed, “especially after the efforts of some cross-regional players who have been wedging the differences between the Islamic countries for the last weeks”. The spokesman spoke about possibilities with Oman such as “increasing marine routes between the two countries, easing the issuance of tourism and trade for the citizens of the two countries, developing economic and banking relations, and speeding the operations for constructing the gas pipe between the two countries, were among the top agreements between the heads of the two countries during this visit”.